The Hungry Clown is a great game for all ages to enjoy. 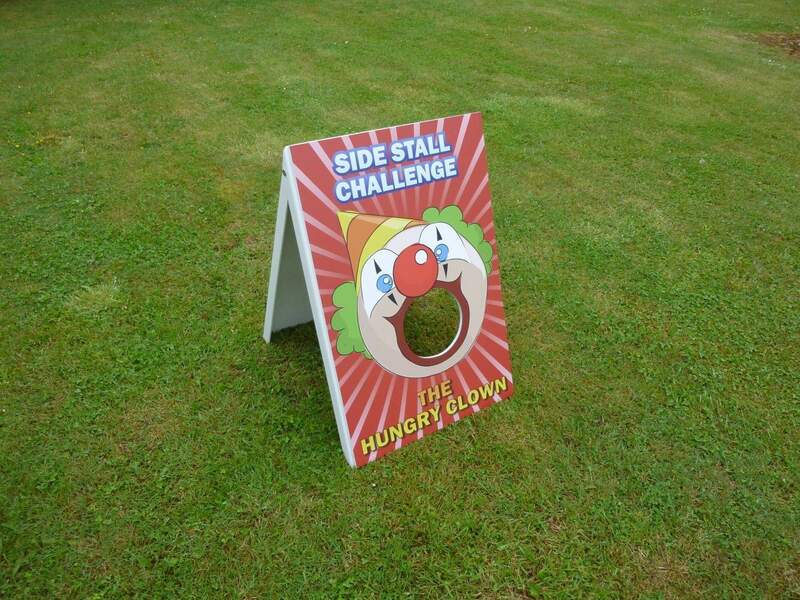 The aim of the game is simple just throw your ball into the clown’s mouth to feed him. Score two out of three balls to win a prize! 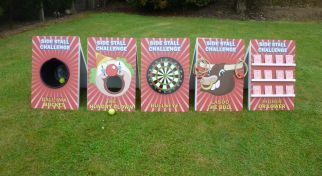 Traditional Side Stall Games are great fun for all types of events. 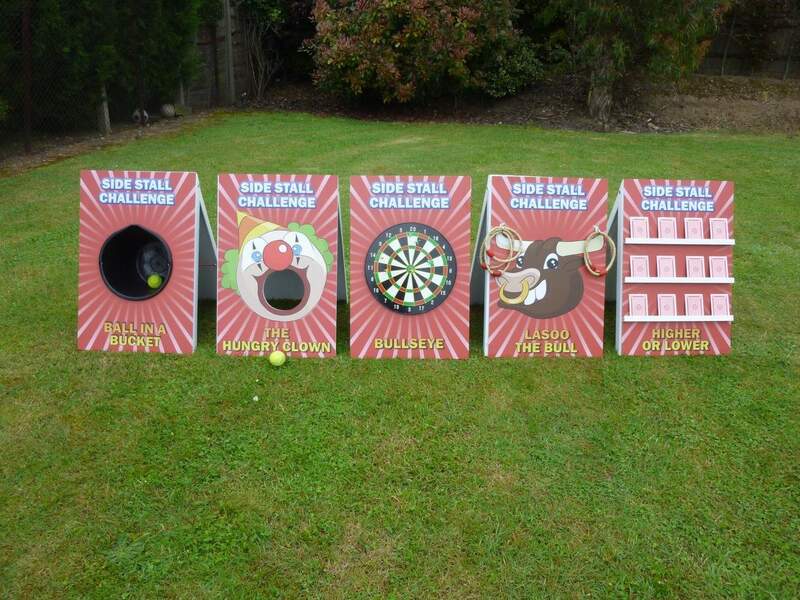 We can supply our Ball in the Bucket game as a Deluxe Package or we can provide just the Game Board Only. 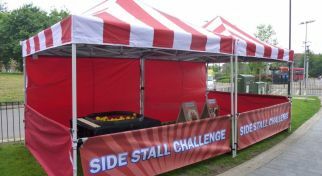 Deluxe Side Stall Games are perfect for corporate events (marketing, experiential and parties) family fun day’s, themed events and more where you want to provide prizes and require staff for the activity. If you have a limited amount of space available (maybe you have a trade stand) and don’t require staff our game board only option may be more suitable. The game board only option is perfect if space is limited or you just don’t require the full Deluxe package. With this option we provide you with just the game board. 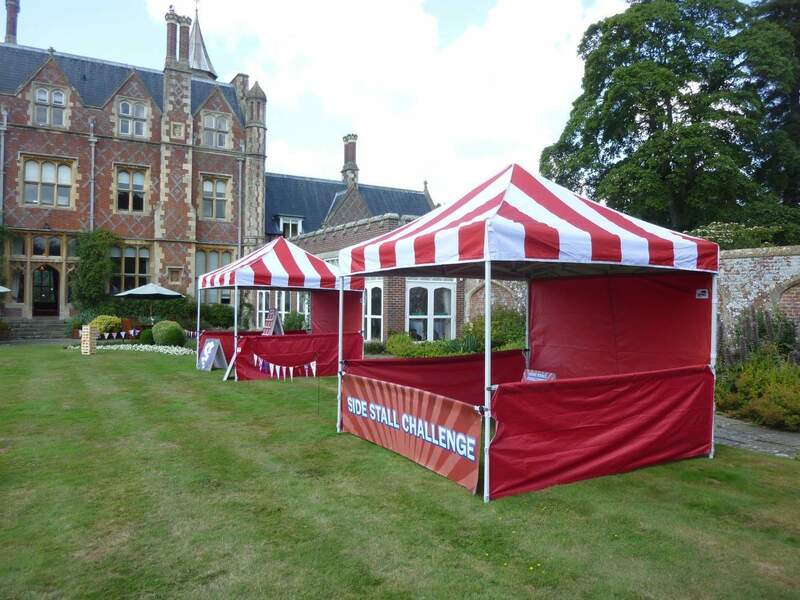 It works well for exhibitions where space can be limited, conferences for break out activities, and fundraisers where budgets may be limited. 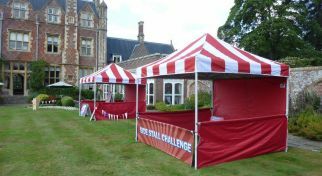 We can also provide themed Side Stall Games for Football events and Christmas Customisation. 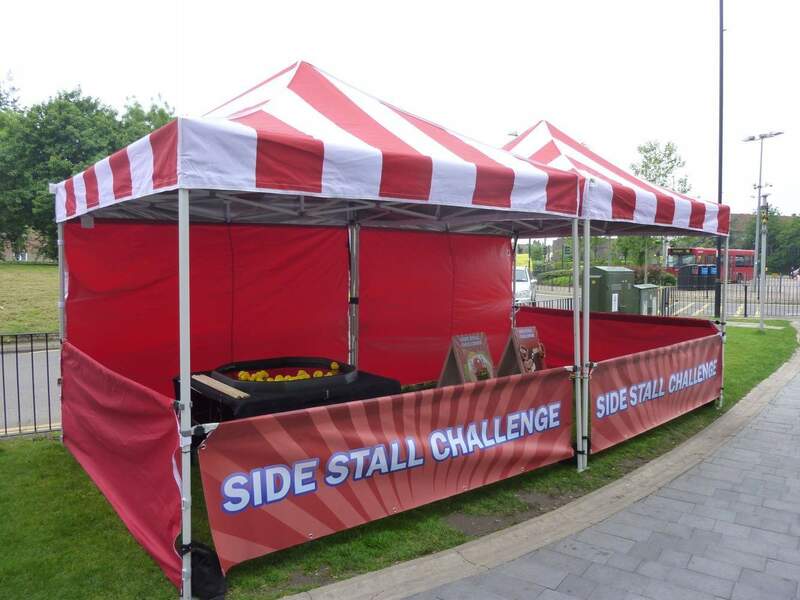 Our Side Stall Games can be customised. We can use the game but incorporate your branding onto the game board. For further information about Branding please contact us. Venue Access Step free access required. A lift is required above or below ground floor. These can not be lifted up/down stairs. If step access is not available, please discuss this with us before booking. 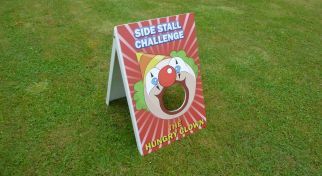 Our Side Stall Games can be branded or customised for a specific brand, product or event theme, making it perfect for Marketing Events. 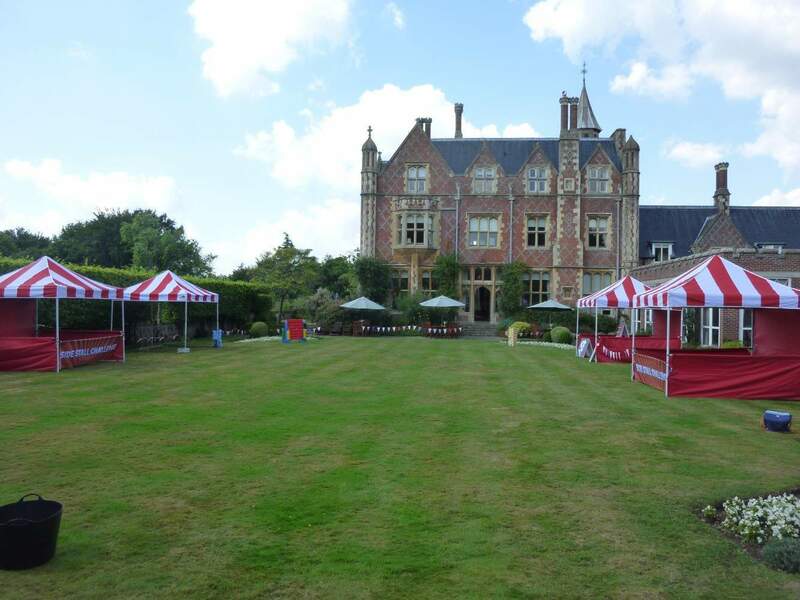 Xtreme Vortex are based on the boarders of Kent and London and our activities are regularly hired for events across the South East and throughout the UK. Just a few lines to sincerely thank you and your colleagues for helping to make Lynne’s 60th birthday celebrations on Bank Holiday Monday such a roaring success. The Side Stall Games were terrific and you and your team were extremely helpful and accomodating – nothing seemed to be too much trouble. 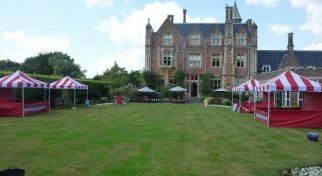 Add in the amazing weather and a bunch of enthusiastic and competitive partygoers who really entered into the spirit of the occasion and we could not fail to have a brilliant time! On behalf of Lynne and her guests, Su and I, please convey our thanks to all concerned. I would to say a big thank you to you and Ashton for Saturday. Both of you were brilliant on the day from setting up, kitting out the users, to backing up at the end of the day. I’m sure you were knackered just like us! You operate a very professional service and we would definitely not hesitate to use your service again.